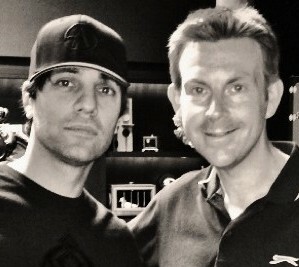 Here’s Celebrity Radio’s EXCLUSIVE Criss Angel Video Illusion Goes Wrong Magician Nearly Dies…. 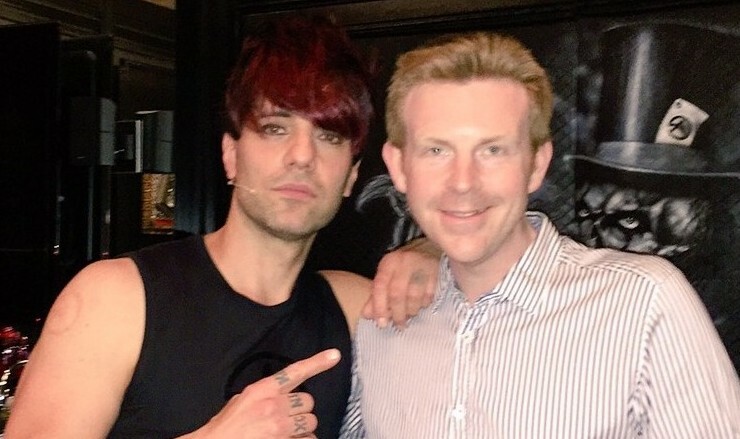 This is the horrifying moment magician Criss Angel battles to save the life of America’s Got Talent escapologist Spencer Horsman after an illusion went horribly wrong. 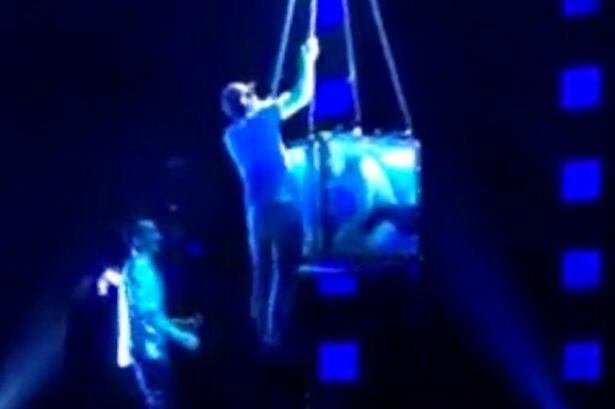 Dramatic footage shows Horsman unconscious and trapped in a box filled with water dangling 30 feet above a stage. 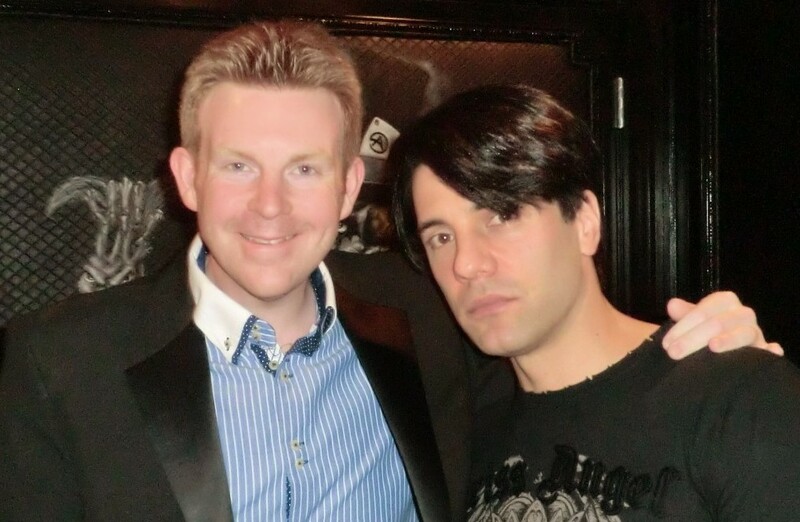 Enjoy EXCLUSIVE interviews with Criss and Spencer + the original backstage video. This video had over 680,000 hits on YouTube in the first week! 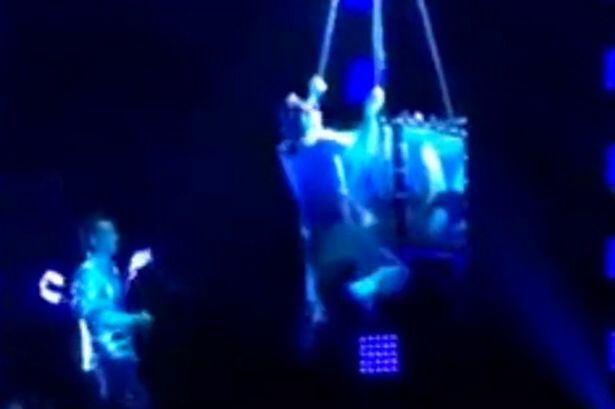 Angel himself ran onto the stage, climbing up the metal chains holding the performer along with several stagehands to open the top of the tank in order to save Horsman. Celebrity Radio broke the story in the Mirror – READ HERE! 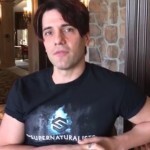 The Supernaturalists runs until July 23rd at Foxwoods. 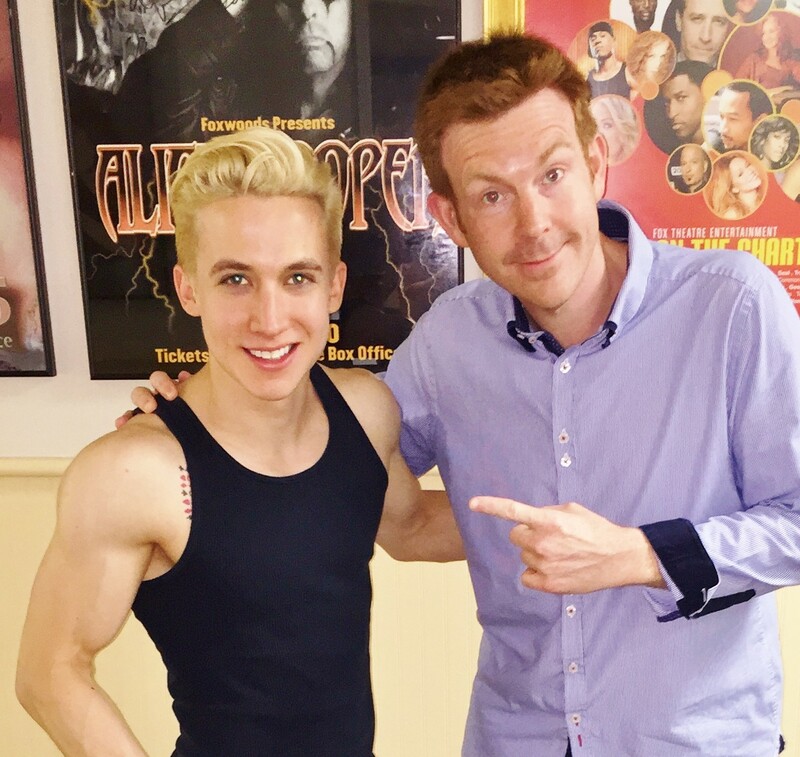 Spencer Horsman shot to fame on America’s Got Talent. 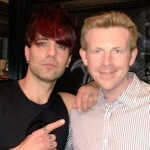 He’s now one of the worlds leading escapologists. 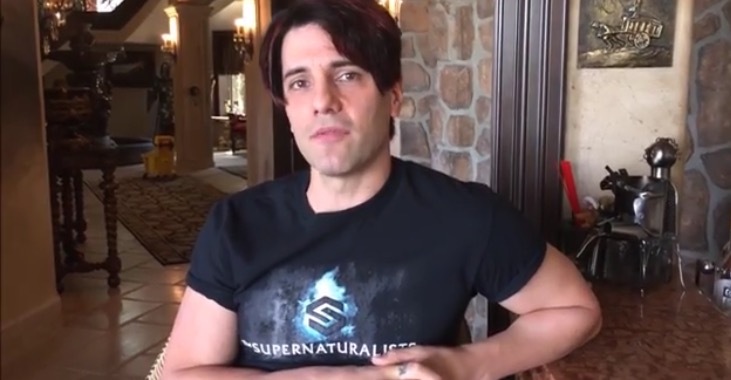 Criss said: “In an effort to ensure the safety of the cast and crew, we will be moving the opening night of Supernaturalists to June 26th,” Angel said in a statement. Interview and video by Alex Belfield for Celebrity Radio 2015.